A few months before Christmas, we were hired to not only help design and set up a bridal shower, but we were also asked to help hostess. Not the norm in our business, but the bride happened to be one of my best friends. Taking her love for anything pink into consideration, we decided to go all out with shades of pink. From the invitation to the menus, cakes and even the candy bar, each and every detail had a touch of pink. 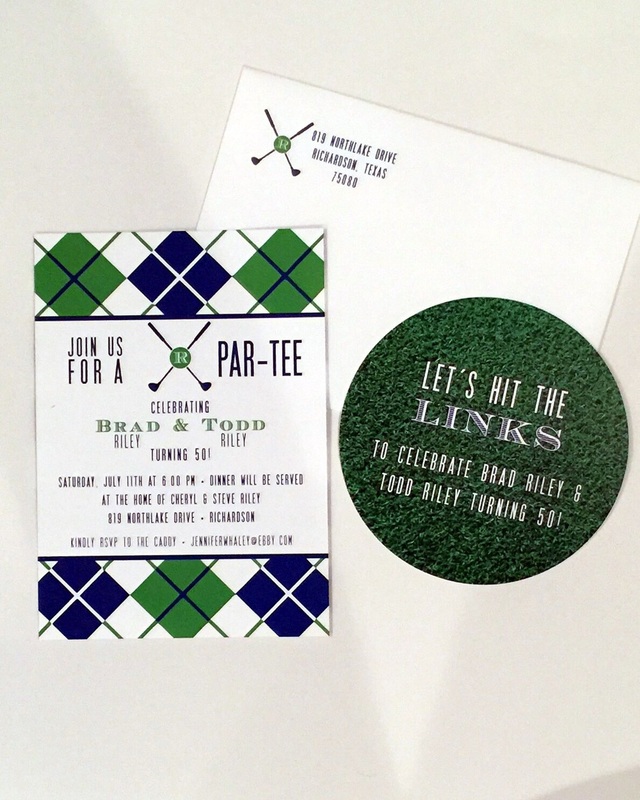 The invitation we designed was done so around a very "swanky" and "classy" feel, as the event was to be held at the Petroleum Club of Fort Worth. When creating this invitation and artwork, we wanted something classic, yet fun. I think we achieved both with the illustration and the stripes. The diecut shape of the invitation added that extra "umpf" and the lined envelope was the icing on the cake, so to speak. With over 70 guests in attendance, the hostesses decided it would be a wonderful idea to set the luncheon menu and offer the guests a choice of beverage. The menus were designed and placed at each place setting. We set each table with pink chargers, silver napkin rings, and white linens. This really showed off that details do matter! In the center of each table, we had the most gorgeous arrangements in shades of pinks and accented with lime green and white flowers. Each arrangement was carefully designed in a large bubble vase and it was spectacular. After a delicious lunch, the bride then began to open her gifts. It was so fun to see all the goodies she got from dear friends and family. During the marathon present time, the cake was served. And- WOW. The cakes were not only gorgeous, but delicious as well. A local bakery designed and baked the cakes with a beautiful rose shaped icing, in a shade of pink, of course! When the shower was nearing wrap up time, the hostesses opened up the candy bar...with you guessed it! Pink candy! This detail was the one thing the bride was absolutely giddy about. She'd never attended a party where there had been a candy bar. Can you believe it took over 50 pounds of candy to make this sugary sweet table so fun? We made a fabric banner with scraps of material from various other projects, ordered clear Chinese take out boxes and adorned them with a custom designed label, and even tied a pink satin bow onto each. The bride was in heaven with her very own table of candy. By being on both sides of the planning process, both as the designer and the hostess, this was quite a challenge. We loved each and every detail and it was appreciated by the other hostesses and the bride, herself. Please contact us if you'd like some help concepting the theme, decor, favors, or even the invitation to any party or shower.